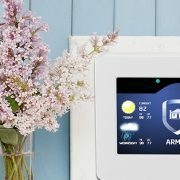 Home Control: What’s in It for You? If you are a news consumer, you know there have been a slew of stories lately designed to raise the alarm about habit-forming mobile devices and the negative impact they can have on our attention spans. 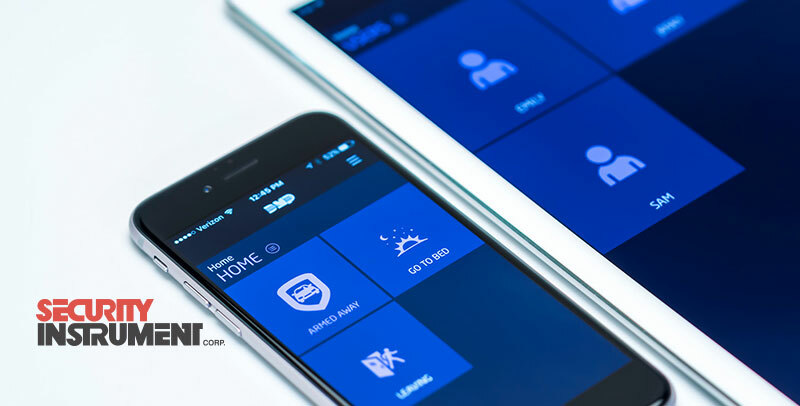 Whether or not the goal of these stories is to convince you to ditch your smartphone, we want to caution against doing that – because if you did, you would miss out on the power of home control for your security system. In addition to the ability to arm and disarm your alarm via your smartphone, remote access to your system can provide you with total control over your home security. Consider the following. Doorbell cameras are all the rage right now, but they’re certainly not a fad. The popularity of doorbell cameras has skyrocketed for two good reasons: 1) They allow homeowners to see who is at their door without having to come to the door, and 2) they allow homeowners to speak to the person at the door without ever having to unlock the door. That’s powerful, and home control integration that gives smartphone access makes it even more powerful. With home control, you can keep dibs on your doorstep from anywhere. Yes, kids will be kids – but when you are able to see a potentially dangerous event before it happens, your kids can be safer and you can have greater peace of mind. For instance, toddlers and young children who wander a little too close to the laundry room, medicine cabinet or garage can be stopped before they open the door – all because you received a smartphone alert as soon as they approached the danger zone. The same goes for older kids, as you can be notified when they get too close to the liquor cabinet, gun cabinet or a room you don’t want them snooping in. As home security experts, we can explain how the technology works – and we believe you’ll be impressed. A home control system is a truly intelligent tool that can recognize when someone’s movements might spell trouble for your family. With the Unexpected Activity alerts it provides, you will be aware when that activity is taking place. Here’s how these alerts work: The home control system memorizes your household routine and notifies you when it sees something out of place: for example, the front door opening at a time when no one is expected to come home. When you receive a notification, you can view your live video to see what’s going on and act accordingly. As you can see, home control really does mean near-total control over your household. To discuss taking advantage of this innovation for your family, contact Security Instrument. https://www.securityinstrument.com/wp-content/uploads/2018/03/mar10.jpg 406 800 Bob Gamble https://www.securityinstrument.com/wp-content/uploads/2017/04/logo-web-7.png Bob Gamble2018-03-10 17:09:382018-03-14 17:13:00Home Control: What’s in It for You?